Kevin Anderson and Roger Federer will square off on Thursday night in the quarterfinals at the ATP Masters 1000 event in Miami. Anderson entered Miami having not played since the Australian Open, when he was knocked out in the second round by Tiafoe. The big serving South African did very well to reach the quarterfinals this week, but truth to be told he hasn`t quite played his best tennis. Anderson was rusty in the first round, needing three sets to get past Munar, and then edged Sousa and Thompson in tight two setters – being very close to losing a set in each of those two matches. Federer surprisingly lost the final last week in Indian Wells, despite being a strong favorite against Thiem in the last act, and also leading 1-0 in sets. The long week in Indian Wells and the collapse he suffered in the final were not good news for Fed coming into Miami, and an early loss was almost expected. Indeed he struggled a lot against Albot in the first round (losing a set), but Roger steadily increased his level in the next two rounds, playing better and better. He got past Krajinovic 7-5 6-3 and played his best match of the week against Medvedev, 6-4 6-2. Bet on Anderson vs. Federer and claim your 100% (120 Eur) freebet at LSbet now! Federer leads the H2H 5-1 (4-0 on hard) and 12-3 in sets, and has a clear matchup advantage over Anderson, as he does against all big servers. The only win for Anderson was last year at Wimbledon, a shocking victory really – but it was just one of those days, with Federer imploding after leading 2-0 in sets. The other 5 meetings were all won in straight sets by Federer, with Anderson not even able to reach a tiebreak! That is an incredible stat, considering Anderson`s massive serve. Anderson has not been that good this week. He faced average opposition and was pushed hard in all matches. He lost a set against Munar, saved set point against Sousa and was down a break in the first set against Thompson. Surely all these matches will have helped Anderson, and he is expected to play better in the quarterfinals, but he is facing a completely different caliber of opponent here. 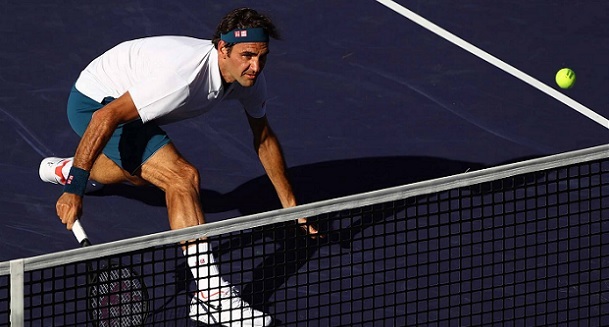 Federer seems 100% fit despite coming after a long tournament in Indian Wells, and he confirmed that himself, saying after the match against Medvedev that he has no fitness issues and is feeling as good as he has ever felt in the last few years. Roger has visibly improved with each match here in Miami, and surely he`s eyeing the title now that he reached the quarterfinals. After the performance he put on against Medvedev, he is expected to continue on the same note, and will definitely feel good coming into this match. Anderson hasn`t been that good on the return this week against average or below average servers like Munar or Sousa, so his chances against Federer`s serve don`t look that good. On the other hand, we know Federer always reads big servers very well, so he will have his opportunities on the Anderson serve – as he always had in all H2H meetings. With Anderson not quite at his best, with Federer in good form and considering the very one sided H2H, chances are Federer will be able to win this in straight sets. My tip will be Federer to win 2:0. Prediction: Kevin Anderson – Roger Federer 4-6 4-6.